As sankrat is nearing, thought of sharing my views and knowledge on Jaggery aka as “Gud”. Jaggery is the base used to make the special Til ladoos for this festival of kites. As this festival approaches ladies are busy making til ladoos, rice puffs ladoos, etc. 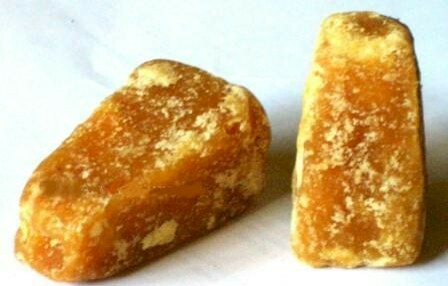 Jaggery is one of the common sweeteners used in the preparation of various dishes in many parts of the world. Although jaggery and sugar are formed from the same sources, they are much different in their appearance, properties and benefits. 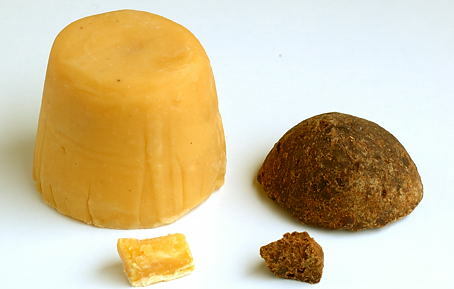 Jaggery is prepared from the sap or juice of plants such as sugarcane and date palm. It is used to make candies, toffees, jaggery cakes and many other sweet preparations. It is also used in the preparation of alcoholic beverages. Jaggery is a healthy alternative to white sugar and is commonly known as ‘medicinal sugar’, because of its various health benefits. Jaggery is used to make numerous sweet and savory preparations, especially is Asian population. Gujarati’s use jaggery in all their food preparations. Jaggery have many health benefits as compared to sugar. Better Digestion:Jaggery improves digestion. Jaggery activates the various digestive enzymes and itself gets converted to acetic acid, thus speeding up digestion. Though Jaggery has above benefits, Diabetics are not allowed to consume it as it is also a form of sugar. It can be included in your diet only with consultation of your diabetologist and Registered Dietitian. Health Benefits of Honey. Health benefits of Buckwheat. Health benefits of coriander leaves. 3 Responses to Health Benefits Of Jaggery. hi … are u still using this site. I want to ask some questions…..
Go ahead and ask your question. my family in Arkansas state in the 60th we had only gagger sugar.